Can Emmanuel Macron Defend Europe From the White Nationalist Right All by Himself? World To win the presidency in 2017, Emmanuel Macron had to reinvent himself. The insider turned outsider disrupted French politics, creating his own center-left party and promising to rescue the continent from a wave of euroskeptic populism. He beat the National Front’s Marine Le Pen—exactly the sort of nationalist who was threatening the liberal values that helped shape the European Union. But a little over a year later, Macron is facing a greater challenge. With Germany’s Angela Merkel weakened, Italy’s radical new government threatening to launch a parallel national currency and the United Kingdom drifting toward a no-deal Brexit, the 40-year-old French president finds himself outnumbered by the EU’s increasingly right-wing leaders. 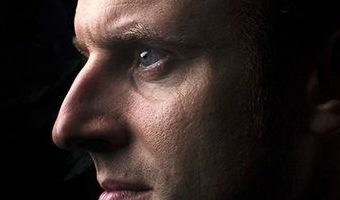 “It is up to us today to take our responsibilities and guarantee our own security, and thus have European sovereignty,” Macron said on August 27, adding that in the age of Donald Trump, Europe can no longer … [Read more...] about Can Emmanuel Macron Defend Europe From the White Nationalist Right All by Himself?